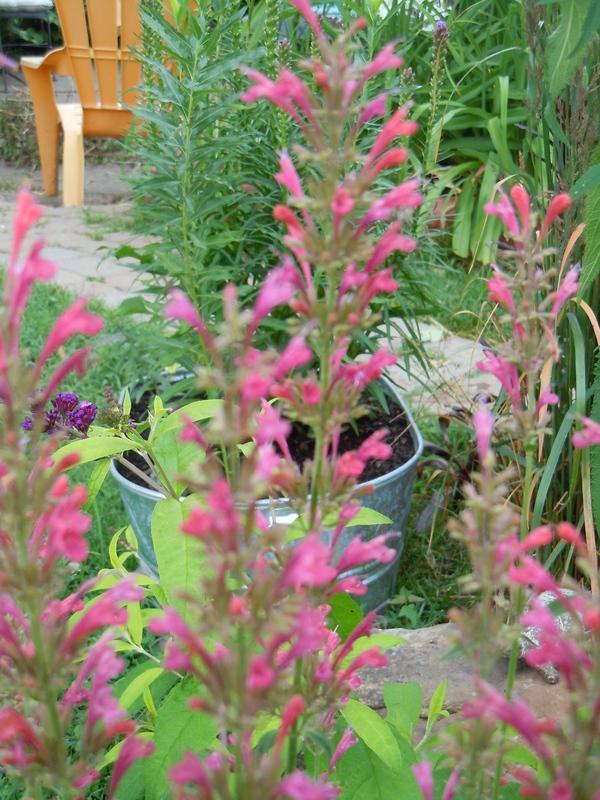 One of favorite plants out of the new ones we’ve planted is called Agastache. Yeah, practice saying that because we didn’t know how to pronounce it for at least a week or two. We’ve found three different colors so far and added a few of each to the garden around the pond. There’s this pretty orange above which was also in the kitty photo from yesterday, and this nice pink one below. There’s also another that is a mixture. The rabbits don’t seem to like it, so that makes us like it even more. 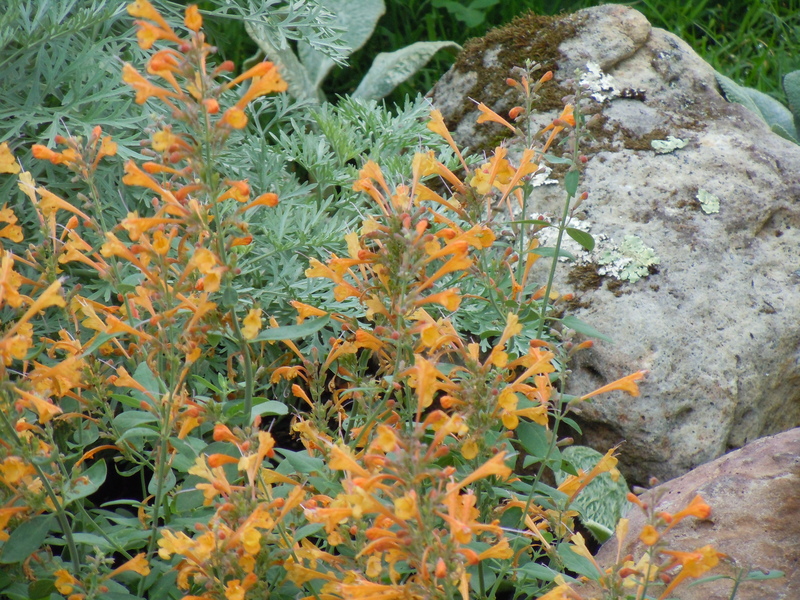 And it stays in bloom for a very long time so the pop of color in the garden is nice.